WHAT: The University of Illinois Springfield Engaged Citizenship Common Experience (ECCE) Speaker Series and Springfield Dominican Sisters present “The Failure of the War on Drugs: Finding Humanity in an Unjust System”. WHEN: Tuesday, March 21, 2017, at 6:30 p.m. 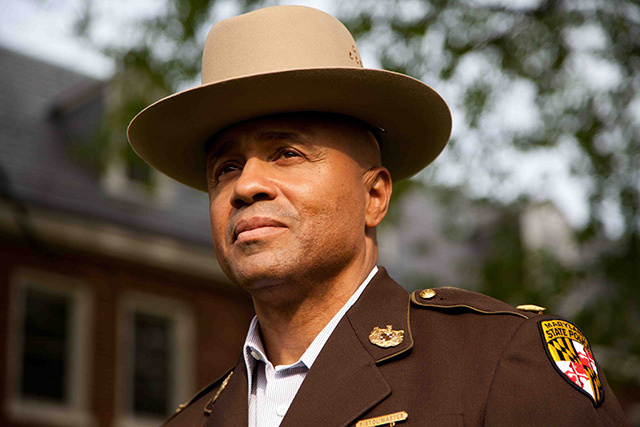 DETAILS: Major Neill Franklin, a 34-year law enforcement veteran of the Maryland State Police and Baltimore Police Department, will lead a discussion on his belief that the war on drugs is failing society. Franklin, a former narcotics agent, said his steadfast belief in fighting the drug war was changed initially by the Mayor of Baltimore who declared that the drug war was not working, was counter-productive and created excessive violence. The loss of a close friend and fellow agent while making an undercover drug deal sealed that belief. As the Executive Director of the Law Enforcement Action Partnership (LEAP), Franklin now advocates for the regulation and control of drugs and a law enforcement approach that defends human rights and views drug misusers as persons in need of treatment instead of punishment.